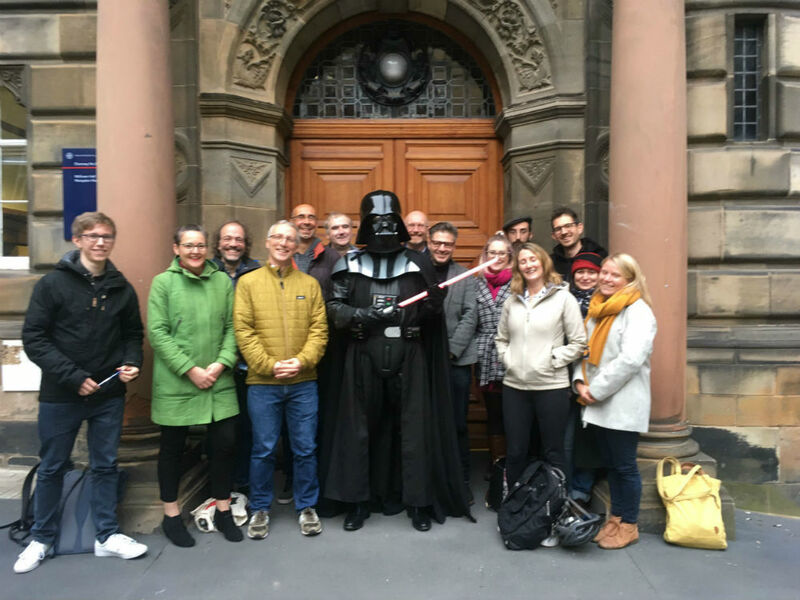 STUNNED university students turned up for their geography professor’s last-ever undergraduate lecture – to find him dressed as Darth Vader. Astonishing photos show Charles Withers, Oglive Chair of Geography at the school of Geosciences at Edinburgh University, dressed as the Sith Lord compete with light sabers. 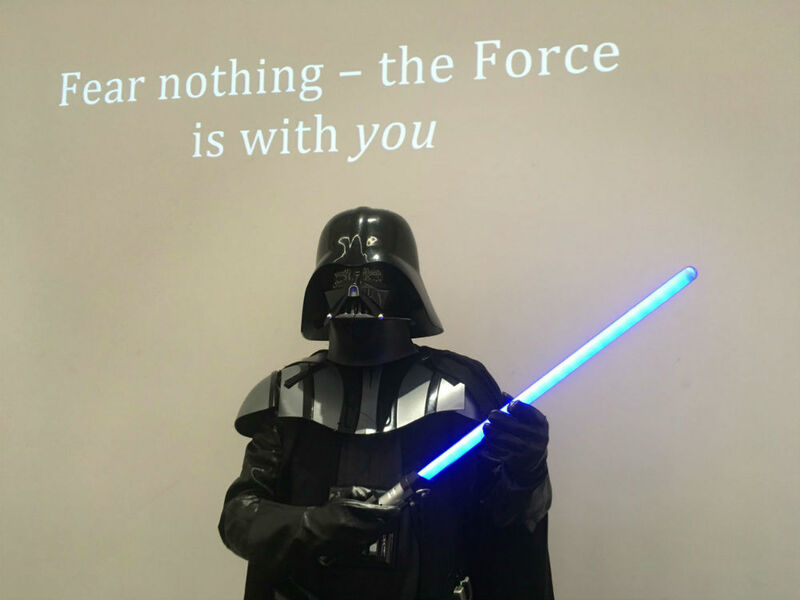 Prof Withers is believed to be a fan of the franchise and took the opportunity to make his last ever lecturer a memorable one, even entering the hall to the Imperial March. Images of the lecture were taken by colleague Fraser MacDonald who posted the photos on Twitter. Fraser’s photos show Prof Withers stayed in his Vader costume throughout the duration of the class, despite helmet “humidity” issues. Fraser’s tweets said: “It’s a red letter day [email protected]: the last undergraduate lecture of Professor Charles W.J. Withers FBA, FRSE, Geographer Royal for Scotland etc. “There’s some learned discussion about trust and truth in geography – the conflation of moral acuity with visual integrity – all this while breathing heavily. And that helmet though”. 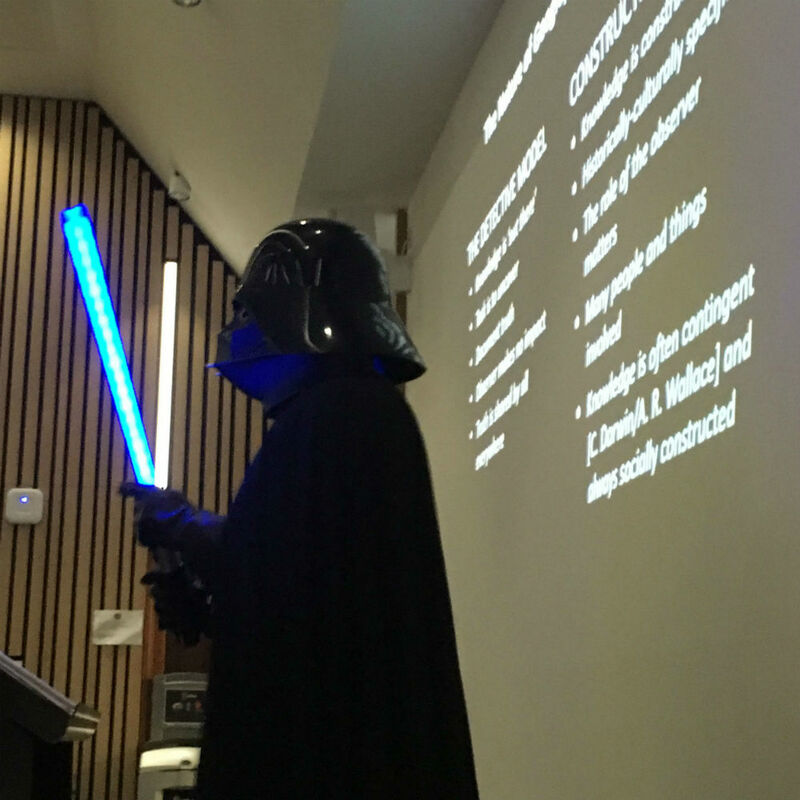 The photos show Professor Wither’s dressed in the entire Darth Vader outfit with a light saber as he stands in front of his students in the lecture theatre. “Darth Withers” can be seen clenching his fist as world map appears on the projector screen setting an eerie pose fit for the character. Another image shows Darth Withers outside with his bewildered students. Fraser later tweeted: “A student has arrived late. Well freaked. Darth Withers has announced some in-helmet humidity issues. I feel like I might actually be tripping”. One person on Twitter asked Fraser if Darth Withers walked out to the sound of the Imperial March. Fraser replied: “He absolutely did”. The stunt has impressed many people on Twitter. Jonorcup said: “This has made me beyond happy”. Kirschgeography added: “Inspired. Kudos Charlie!”. Geotransversals said: “Finishing with a Kropotkin quote, what more could be asked for!”. Even the other Edinburgh University departments are in awe of Darth Withers’ display. The official Twitter account for the School of History, Classics and Archaeology at Edinburgh University said: “Please tell us this was recorded!#starwars”. Professor Withers Prof Withers is a world-leading historical and cultural geographer. 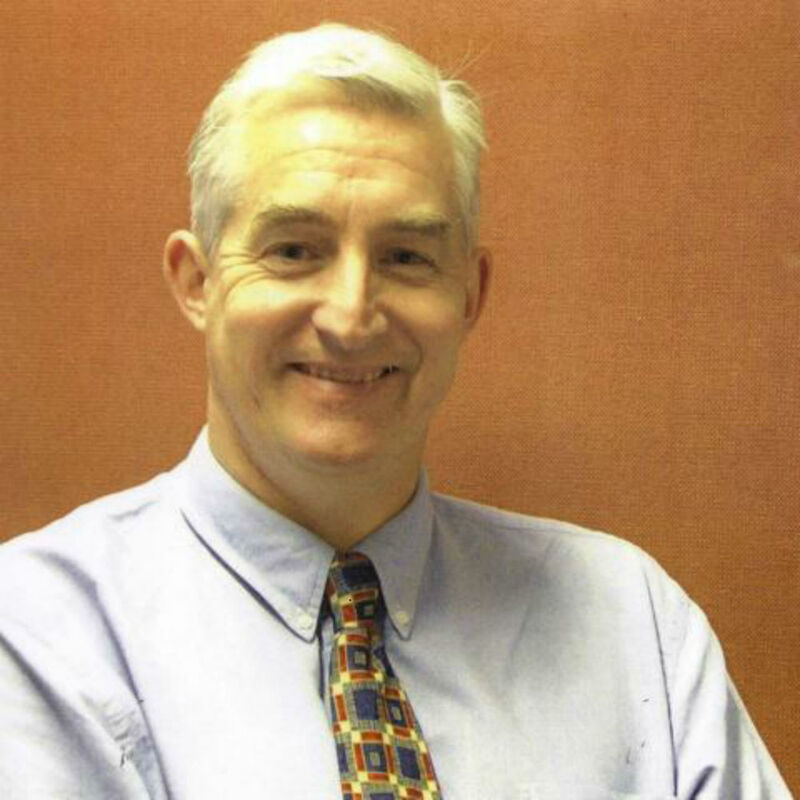 He is a Fellow of the British Academy and a Fellow of the Royal Society of Edinburgh. He was the first Geographer Royal for Scotland for 118 years and was awarded his title by Princess Anne.